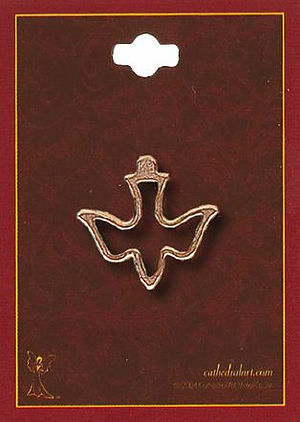 A delicate pin in a gold finish, and is the outline of a Dove of peace. The pin comes on a red gift card, and is a precious display of faith. Gold Dove Pin is published by CBC Distributors and is our 373rd best seller. The ISBN for Gold Dove Pin is CBC1750G. Be the first to review Gold Dove Pin! Got a question? No problem! Just click here to ask us about Gold Dove Pin.